The curse of knowledge is a cognitive bias that causes people to fail to account for the fact that others don’t know the same things that they do. This bias is most commonly associated with the domain of teaching, where it occurs primarily when experts in a certain field struggle to teach beginners, because they find it difficult to account for the fact that not everyone has the same level of expertise that they do. Understanding the curse of knowledge can help you become better at predicting, communicating with, and teaching others. As such, in the following article you will learn more about the curse of knowledge, understand why people experience it, and see how you can account for its influence as effectively as possible. The curse of knowledge is a cognitive bias that causes people to fail to account for the fact that others don’t know the same things that they do. Essentially, this means that people who are more knowledgeable than others in some domain will generally struggle to act in a way which properly takes this difference in knowledge into account. Accordingly, the curse of knowledge can hinder people in various ways, such as by making it more difficult for them to teach others, or by making it more difficult for them to predict other people’s behavior. The concept of the curse of knowledge was first proposed in a 1989 paper published by economists Colin Camerer, George Loewenstein, and Martin Weber. In this paper, the researchers wanted to challenge the incorrect but prevalent assumption that in situations where there is an asymmetry of information (meaning that some people have more information than others), better-informed agents will always be capable of predicting the judgments of less-informed agents. Their research showed that, in reality, better-informed agents are often unable to ignore private information that only they know, even when it is in their interest to do so. Based on this, they concluded that more information is not always better, since having more knowledge than others can sometimes hinder people’s ability to predict the behavior of others. The curse of knowledge can make it difficult for experts to teach novices. Since experts are much more knowledgeable about the topic that they are teaching than their students, they often struggle to teach the material in a way that their students can understand. For example, a math professor might find it difficult to teach first-year students, because it’s hard for the professor to account for the fact that they have a different level of background knowledge than those students. The curse of knowledge can make it difficult for people to communicate with each other. Since people’s communication depends on the knowledge that they share, it can be difficult for people who know different things to discuss the same topic, even when this discussion doesn’t involve direct teaching. For example, it can be difficult for a scientist to discuss their work with laypeople, because the scientist might struggle to remember that other people aren’t familiar with the terminology in their field. The curse of knowledge can make it difficult for people to predict the behavior of others. Knowledgeable people often struggle to predict how people who are less knowledgeable than them will act, since they struggle to avoid taking the information that they have into account when imagining the other person’s thought process. For example, a professional boxer might be surprised by some of the moves made by a novice boxer, since the novice might make moves that are “wrong” from a technical perspective, and which most people that the professional boxer works with would never use. One of the best-known examples of the curse of knowledge is the “Tapping Study”, which was published in the 1990 dissertation of Stanford graduate student Elizabeth Newton. In this study, participants were randomly assigned to be either a tapper or a listener. Each tapper finger-tapped three tunes (which were selected from a list of 25 well-known songs) on a desk, and was then asked to estimate the probability that the listener will be able to successfully identify the song that they tapped, based only on the finger tapping. On average, tappers estimated that listeners will be able to correctly identify the tunes that they tapped in about 50% of cases, with estimates ranging anywhere from 10% to 95%. In reality however, listeners were able to successfully identify the tune based on the finger tapping in only 2.5% of cases, which is significantly lower than even the most pessimistic estimate provided by a tapper. Furthermore, when the previous tappers listened to the experimenter tap out the tunes that they had chosen, they still estimated that around 50% of people would be able to guess the tune that was being tapped by the experimenter, since they themselves had an easy time identifying those tunes, due to their previous knowledge. This was the case even when those original tappers were replaced by new people, who never served as either a tapper or as a listener. Overall, the tapping study demonstrates how the curse of knowledge can affect people’s judgment. Specifically, it shows that people who know which tune is being tapped have an easy time identifying it, and struggle to accurately predict the perspective of others, who don’t have the same knowledge that they do. Historical note: Newton’s 1990 dissertation is often referenced in scientific literature as having the title of “Overconfidence in the Communication of Intent: Heard and Unheard Melodies”. However, the dissertation’s original title appears to be “The Rocky Road from Actions to Intentions”, as evident in its title page and in its entry on the Stanford University website. This discrepancy appears to have occurred as a result of how the dissertation was referenced by Newton’s supervisor, Professor Lee Ross, in a 1991 book chapter that he published on the topic, which affected how other people referenced it ever since. The curse of knowledge occurs due to the imperfect way in which we process information. Specifically, since we spend the majority of the time seeing things from our own perspective, we struggle to remember that other people’s perspective and knowledge levels are different from ours, due to our failure to fully adjust from the anchor of our personal perspective. Essentially, this means that when we know a certain piece of information, we struggle to imagine the perspective of those who do not know it. As such, the curse of knowledge is a type of an egocentric bias, which is a cognitive bias that makes it difficult for people to account for the fact that other people’s thoughts, beliefs, and views are different from their own. Note: the curse of knowledge has a similar effect to the empathy gap, which is a cognitive bias that makes it difficult for people to account for the manner in which differences in mental states affect the way that they and other people make decisions. Though it’s generally impossible to avoid the curse of knowledge entirely, it’s certainly possible to mitigate its influence to some degree. 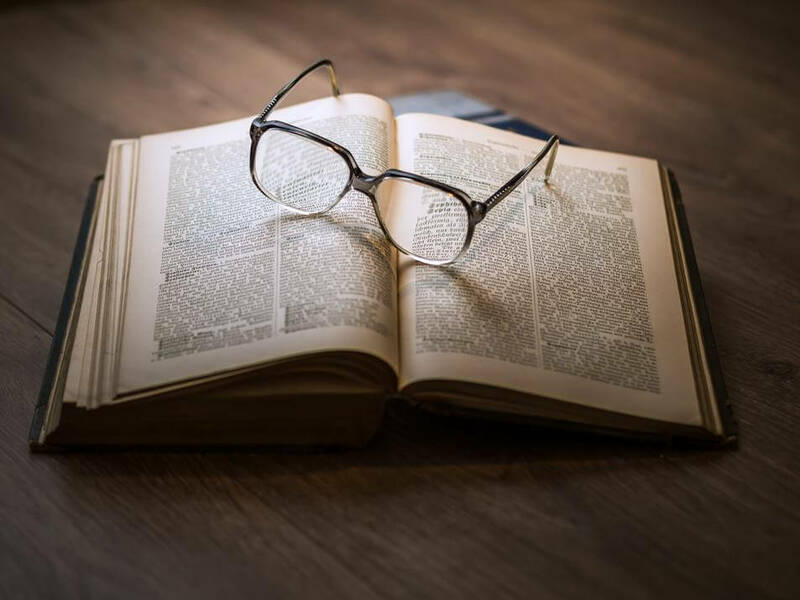 In the following sections, you will learn about what you can do to reduce the impact that the curse of knowledge has on you, and see some important guidelines that will help you understand how to take this bias into account. In order to successfully reduce the impact of the curse of knowledge, you first need to be aware that it exists, and cognizant of the fact that people have different levels of knowledge than you. Reading this article should have already given you a good understanding of the curse of knowledge and of when and why you’re likely to experience it, which can help you identify the type of situations in which you should be especially aware of its influence. Furthermore, in some cases, and especially when it comes to teaching, one of the best ways to account for the curse of knowledge is to ask for feedback from the people that you are communicating with, in order to confirm that they understand everything you are saying. This will allow you to the assess difference in knowledge levels between yourself and others, which will help you account for this difference properly. In addition, a good way to prevent many of the issues which are associated with gaps in knowledge is to ensure that you explain every technical term and concept that you use as you are using it, even if it seems obvious to you, any time when you’re not perfectly sure that the vast majority of your intended audience will be able to understand it. This can help in situations where you can’t rely on your audience to give you sufficient feedback, which can happen, for example, in situations where people aren’t likely to admit that they didn’t understand something, or in situations where the communication is primarily one-sided (e.g. if you’re writing a research paper). In addition to being aware of the curse of knowledge and asking for feedback from your audience, you can also use various debiasing techniques in order to help you account for the influence of this cognitive bias. Many of these techniques are similar to those that you would use when attempting to reduce the egocentric bias, since your goal is to successfully understand the viewpoint of someone else, who has a different perspective than you due to the difference in your level of knowledge. To do this, you could, for example, visualize the perspective of the people that you are communicating with, or you can use self-distancing language, both of which will improve your ability to assess other people’s perspective. In addition, you could also use various general debiasing techniques in order to cope with the curse of knowledge. Such techniques involve things such as slowing down your reasoning process and improving your decision-making environment, which will enable you to think in a clearer, less-biased manner. It’s important to remember that the curse of knowledge isn’t necessarily about the difficulty that experts have when it comes to communicating with novices, though this is one common way in which this bias manifests. Rather, the curse of knowledge is about the difficulty in communication that people have when they know something that others don’t. As such, don’t try to account for the curse of knowledge only in situations where you are an expert in a certain field, or in situations where you are significantly more knowledgeable than someone else. Rather, remember that this bias can play a role in any situation where one person knows something that other people don’t, and then account for it accordingly. Since most people are not aware of the curse of knowledge and therefore don’t know how to account for it, understanding how this bias affects people’s thinking can help you predict their behavior more accurately. Specifically, if you know that someone else is more knowledgeable in a certain field than others or has some information that others don’t, you can take this into account when predicting how they will behave, by assuming that they will fail to account for the curse of knowledge when they try to assess the behavior and thinking of others. For example, if you’re hosting a talk where a new graduate student is expected to explain their research to a non-academic audience, understanding the curse of knowledge can help you predict that the graduate student is probably going to give a talk that is too technical given their intended audience. Then, you can explain this issue to the student, and tell them what they can do in order to explain their research using language that their audience will be able to understand. The curse of knowledge means that people who are more knowledgeable than others in some domain will generally struggle to account for the difference in knowledge between themselves and others, and will therefore struggle to communicate with others or to predict their behavior. The curse of knowledge can, for example, make it more difficult for experts in a certain field to teach novices, as in the case of professors who struggle to teach students, since the experts fail to account for the difference in background knowledge between themselves and the novices. We experience the curse of knowledge because we spend so much time seeing things from our own perspective, that we struggle to remember that other people’s viewpoint and knowledge levels are different from our own. In order to account for the curse of knowledge, you should be aware of its influence, avoid the automatic assumption of shared knowledge, solicit feedback from others, and use general debiasing techniques, such as slowing down your reasoning process.